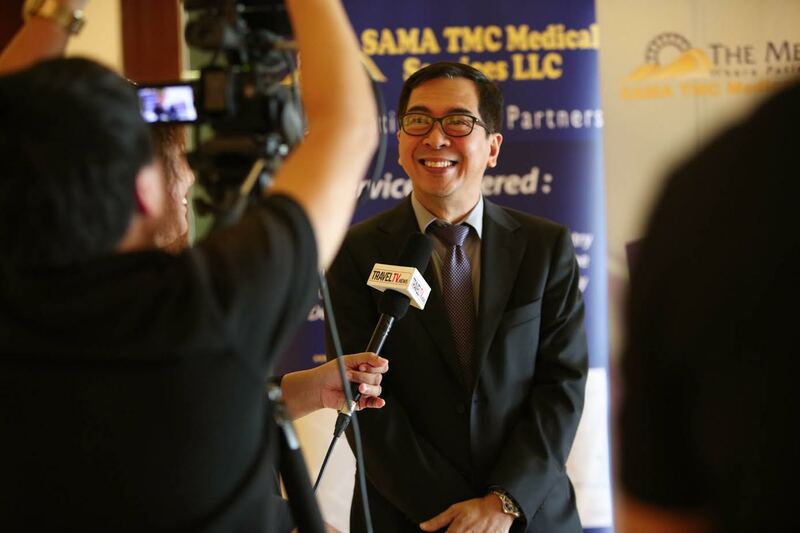 Dubai, UAE: The Medical City (TMC), a private tertiary care hospital in the Philippines, welcomes partnerships with UAE hospitals for its robotic surgery program, which is rapidly gaining global popularity due to the many benefits it offers to both patients and surgeons. A few hospitals and specialized clinics in the UAE have expressed interests on collaborating with TMC Philippines for education and training in the Robotic Surgery Program which gives quicker, less traumatic, reduced pain and blood loss during operations and minimal scarring and shorter hospitalization after the procedure. TMC Philippines is a pioneer for robotics surgery and has been offering this program since 2010. It also provides training and support to other hospitals in the Philippines that require more advanced medical procedures. Dr. Julius Cajucom, Urologist and Head of the Robotics Surgery Program at TMC Philippines said that he was surprised to learn that only a few hospitals in the UAE use the robots to perform certain surgical procedures. “We welcome the partnership and are more than willing to provide the education and training to medical practitioners in the UAE on the use of robots to perform surgical procedures. The UAE is considered a medical tourism destination so tourists seeking medical treatment here would expect that the country offers the most-advanced technology in healthcare,” he added. There is one hospital in Sharjah and one in Umm Al Quwain that have reportedly performed surgical operations using robots and both have been successful. In robotics surgery, Dr Cajucom explained that it is still the surgeon who performs the surgery with the use of computer-controlled robots to assist in certain surgical procedures. The robot’s “hands” have a high degree of dexterity, enabling the surgeons to reach hard and difficult areas in the body that would otherwise only be accessible through open surgery. There are different sensitivity settings on the console enabling the surgeon to choose the degree of movement of the instrument and the surgeon is seated, lowering surgeon fatigue. “The advantages of robotic surgery are manifold. This technological advancement allows patients or individuals to opt for a less traumatic approach to their healthcare. Patients easily avoid all the complications brought about by most operations,” noted Dr Cajucom. Recently TMC acquired its second robot, the more advanced da Vinci Si Surgical System. The procedure is currently available for urological, colorectal and gynecological operations but can also be utilized for head and neck, trans-oral, thoracic and vascular surgeries. The Medical City (TMC) has distilled 49years of experience in hospital operation and administration in the establishment of its world-class healthcare organization that serves some 40,000 inpatients and 400,000 outpatients a year. The main facility is located on a 1.5 hectare property along Ortigas Avenue in the business district of Pasig City, Metro Manila. It is composed of 115,000 square meters of floor space, and includes two Nursing Towers with capacity of up to 800 beds, joined by a Podium, bridge ways and a Medical Arts Tower. TMC boasts of a distinguished medical staff of some 1,000 physicians, all of whom are experienced and recognized experts in their various fields. The Medical staff is supported by a 2,110-member organization composed of allied medical and administrative staff, many of whom have honed their expertise over years of loyal service to the institution. TMC has defined for itself a unique service philosophy in which the patient is viewed not as a problem to be solved or a charge to be cared for, but as an equal and empowered partner, co-responsible for the attainment of his health goals. TMC has been conferred accreditation by the Joint Commission International for attaining and maintaining the highest standards of quality for healthcare organizations. JCI is widely recognized as the most prestigious accrediting body for international healthcare organizations. In its evaluation by JCI, TMC has received perfect scores in standards related to Access to Care and Continuity of Care, Quality Improvement and Patient Safety, Patients and Family Education, and Governance, Leadership and Direction, a truly exceptional achievement by any measure.